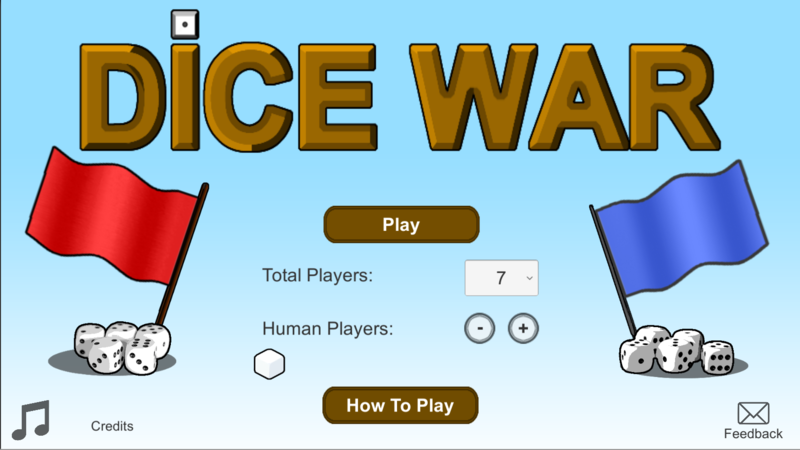 Dice Warfare is a turn-based strategy board game where the goal is to use your dice to conquer every territory on the map - it's a new take on the classic Dice Wars flash game! On your turn, click a region you control and select a neighboring enemy region to attack. 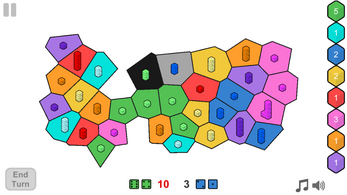 A region must contain two dice in order to attack. 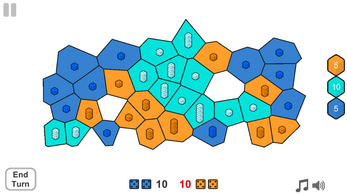 Both the attacker and defender will roll the number of dice that their region contains; the larger total of the rolled numbers wins, with ties going to the defender. There is no limit to how many attacks you can perform per turn; you can continue to attack as long as you have regions that are eligible to attack. When you are done attacking, press "End Turn." You will receive a number of dice, randomly distributed, equal to the highest number of regions you control that are connected to each other. 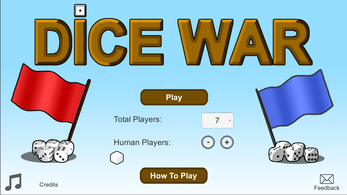 The number of dice you will receive at the end of your turn is displayed on the right hand side of the screen. If at any point you no longer control any regions, you will be defeated. 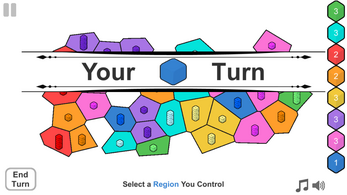 If you take control of every region on the map, you will emerge victorious!